It can feel devastating to see the damage caused to your property following a disaster. But you can rest assure that Penn Jersey will work hard to get you back in your building as soon as possible. We know that time is of the essence when it comes to cleaning and restoration, so that’s why we get to you fast and work as quickly and efficiently as possible. When the worst happens, Penn Jersey will be there for you. Whatever the size of your property and regardless of the scale of the problem, our disaster recovery cleaning team will work hard to get you back into your home, or to reinstate your business premises as soon as possible. But with Penn Jersey, our work isn’t just about restoring your property. We know that your belongings are incredibly important too. We make it a priority to preserve those personal and special items during our disaster recovery cleanup. 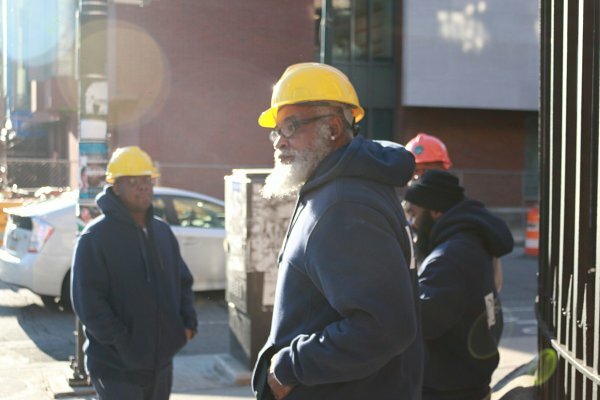 We are proud to have served Philadelphia’s community for over five decades. And we will work with you to make sure we know your most cherished possessions, along with important documents and paperwork. Whatever kind of emergency you and your business have endured, Penn Jersey will work to get everything back to normal as quickly and effectively as possible. We cover a wide range of disaster recovery cleaning services to help get your business back open. In the unfortunate circumstance that your commercial property suffers flood damage it is important to work quickly. The priority has to be to get the property back to its pre-incident state as quickly as possible. Penn Jersey specialize in clean up processes after disasters and emergencies including floods. Using the latest technologies and processes, we work efficiently to minimize the damage caused by flood waters. We can also work to remove any additional issues such as mold which can develop in the aftermath of a flood. Mold may become a problem in the aftermath of a flood or disaster and it is something you need to deal with quickly. It poses a risk to health and hygiene on your premises and spreads very quickly. At Penn Jersey we utilize the latest and most effective processes for mold remediation and removal. Smoke and fire can lead to irreparable damage if not dealt with quickly. The clean up process needs to start as soon as possible to minimize any long-term risks and damage, and to return the property back to its pre-emergency state. We work efficiently to ensure the best level of cleaning and the removal of all hazardous materials and debris, with the aim of returning your premises to a safe and usable condition. Fire damage needs to be cleared up as quickly as possible to minimize financial loss and to limit the risk of deterioration to the building, fixtures and fittings. Odor elimination is also key in removing the effects and damage of fire, as it the removal of any soot residue. The clean up after a storm or natural disaster involves different elements of our various cleaning services. Storms can result in water and flood damage as well as the spread of debris, broken goods and the need for removal and clear out of premises. Our professional and experienced disaster recovery cleaning teams are ready to work in any environment and will do their best to ensure your premises is returned to as close to normal as possible. Disasters can leave your organization exposed to downtime, disrupted services and serious safety risks. Whatever has taken place, from a fire, flood, sewage backup, accidental damage or a natural catastrophe, our disaster recovery services can resolve your issues quickly with our expert and professional service. Building sanitization, drying and dehumidification. Trauma and crime scene cleanup. If a disaster should occur, we can be on-site as soon as you need us, whatever time or day of the week. We will immediately begin work to minimize the risk of further damage and returning homeowners lives and commercial businesses back to normal with the minimal disruption and downtime. Our focus is get your property back to how it was before as quickly as possible, minimizing any further damage, efficiently, effectively and with the minimum of disruption to you. When the worst happens, Penn Jersey will be there to help you every step of the way. Our quick response will help you to get back to business or enjoying your home again. It will also help prevent further costs that could come from further damage. Therefore, saving you money, time and further stress. With Penn Jersey’s disaster recovery cleaning services, disasters don’t have to be disastrous that haunt you for years to come. We’re here to help you and get things back to normal fast – 24/7, 365 days a year.